The department has been set up with the avowed purpose of maintaining and constructing mosque in localities inhabited by poor Muslims where there is no arrangement for organizing the prayers based on true faith and practices followed by our pious predecessors. Thanks are due to Allah Who enabled the Department to build as many as 43 mosques in areas and states like UP, Bihar, Bengal, Orissa, Assam, Delhi, Haryana, Maharashtra, Karnataka and Nepal. Construction work in another 11 mosques is currently under way. The Department has also extended its cooperation and assistance in the repairs, renovation and expansion of 11 mosques at different places in India and Nepal. Among the under construction mosques one grand mosque in the northern Sonia Vihar region of Delhi and another in Mahavir Enclave-3, Dwarka near Palam Airport in West Delhi are particularly worth mentioning. Delhi, the metropolis of India, is unquestionably the most well- known city of the country in the world. Sadly, however, this most advanced and globally best known city had, until a few years ago, no Eid Mosque where Muslim men and women that were the votaries of the Ahl Al-Hadith school of thought and theology could perform their Eid Al-Fitr and Eid Al-Adha prayers in exact compliance with the Sunnah of the Prophet (pbuh) and could listen to the discourses of the Imams based on the teachings of the Book and Sunnah. 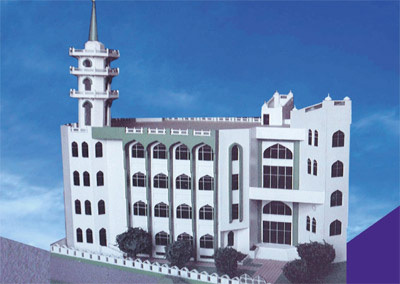 Founders of the Centre fully realized the need for such a mosque from the very first day of its birth. Thanks are due to Allah that, by His grace, the Centre that had made singular advances in the field of education, Da'wah, research, compilation and community services also enabled the Centre to designate a large piece of land inside the Jamia Islamia Sanabil complex located opposite Kalindi Kunj in South Delhi for the purpose. As a result, for the last twenty years entire families (women included) of worshippers from various parts of Delhi have been performing congregational prayers of the two Eids in it. Another Eid Mosque has been built in Mahavir Enclave, Dwarka, near Palam Airport, New Delhi Some other Eid Mosques established in the State of Uttar Pradesh are inside the campuses of the following institutions run by the Centre: Ali Ibn Talib Institute, Teen Batti Chaowk, Gola Ganj, Lucknow; Jama Masjid, Umar Ibn Al-Khattab Institute, near Shamshad Market, Qila Road, Aligarh, and Jama Masjid, Abul Kalam Azad Boys Public School, Gandhi Nagar, Basti. All these mosques are largely attended by male and female worshippers, and competent scholars of religion are designated by the Centre to perform the duties of leading the prayers and delivering sermons appropriate to the occasion. Jama Masjid, Madrasa Salafia, Tendwa, Siddharth Nagar, U.P. 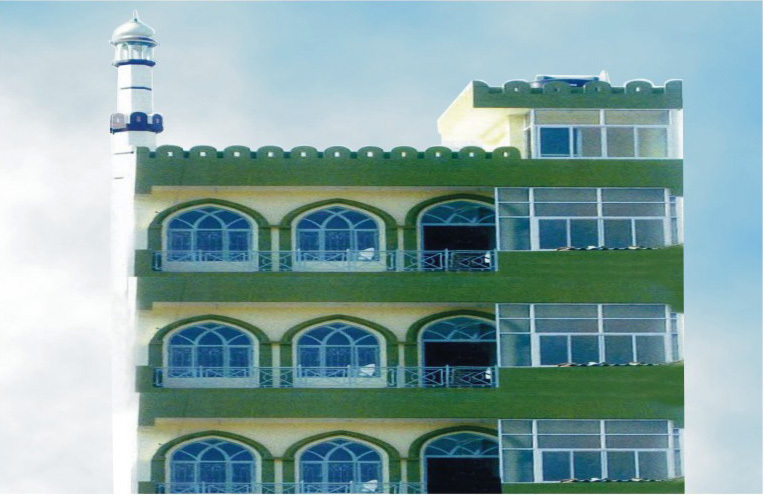 Masjid Ausan Kuiyan, Siddharth Nagar, U.P.